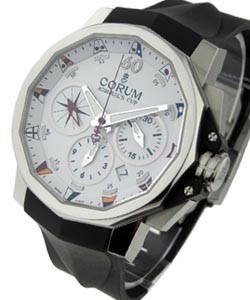 This watch is also known as: 986.581.98/F371 , 986.581.98/F371 , 986-581-98-F371A . 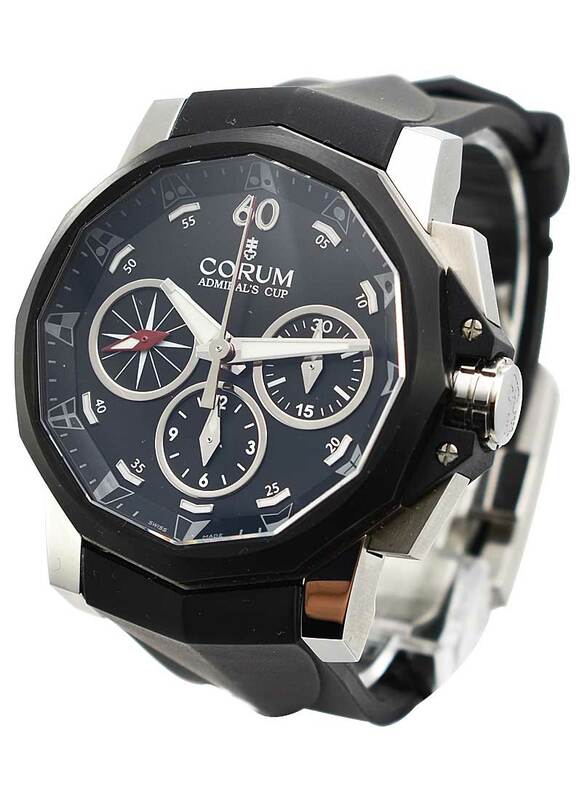 This Corum Admiral's Cup Challenge 44 Split-Second watch features a 44mm steel case with carbon fiber bezel, black dial and black vulcanized rubber strap. 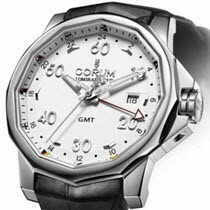 Features on this watch also include a self-winding movement, split second chronograph function, and 48-hour power reserve. 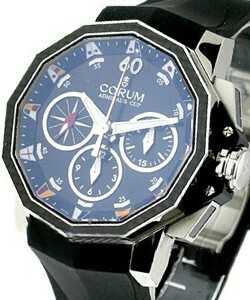 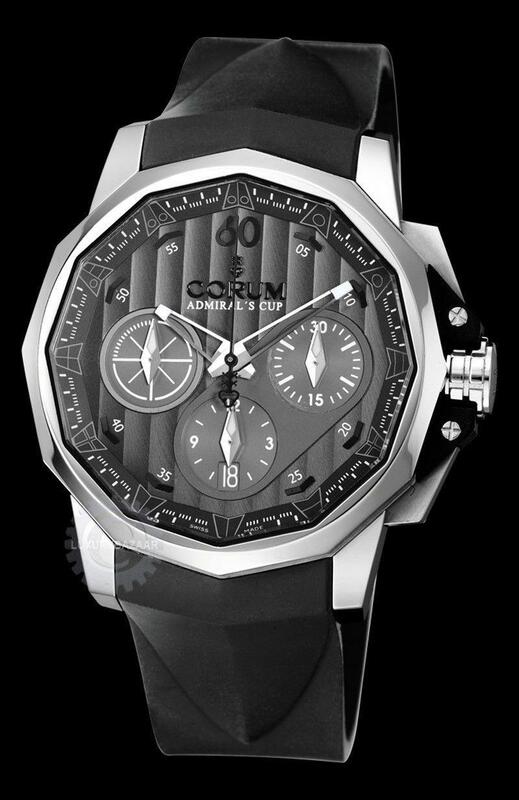 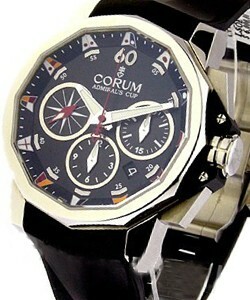 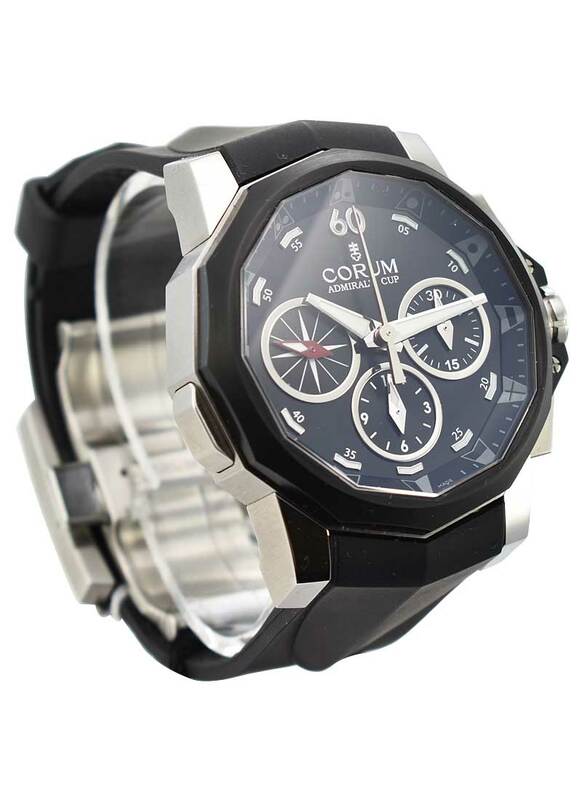 This Corum Admiral's Cup Challenge 44 Split-Second watch is water resistant to 200 meters.